In January of 2015 Dave Schmitt Construction was low bidder, and thus awarded the NE Quadrant, 2008 Flood, Sanitary Sewer Repairs, Phase 2 Bid Package 1. This is our second point repair project in the North East Quadrant and the largest completed to date which accounted for 6 months of Red and his crews’ 2015 construction season. Going into the NE Quad project, we expected it to be a challenging project, but one that DSCC could excel at and both predictions proved to be true. There were a number of tight alleys to reconstruct sewers through, deep manholes to be replaced, heavy flows of sewage to be bypassed and a number of unforeseen obstacles along the way. One obstacle being the majority of the manholes needing replaced were on a 24” sewer that was encased in concrete and needed to jackhammered by hand. The most challenging site on this project was in the middle of Coe Road. 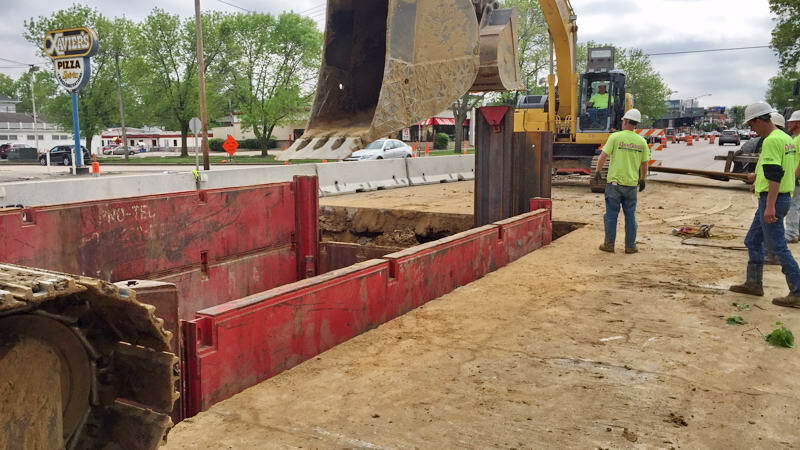 It consisted of replacing a manhole on a 24” line located next to two different Alliant vaults and two Alliant duct banks with heavy traffic around our crew. Utilizing our bypass pumping road plate we were able to set up the bypass pump system and maintain the flow of traffic. 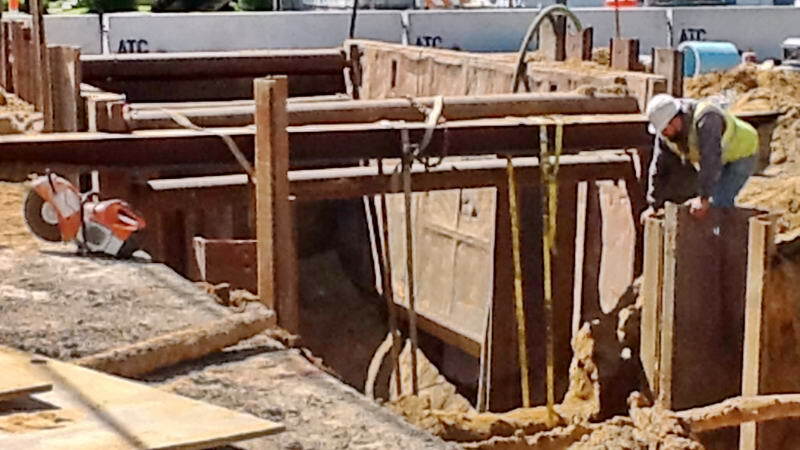 With all the utilities in conflict with our hole, we were not able to use a trench box. 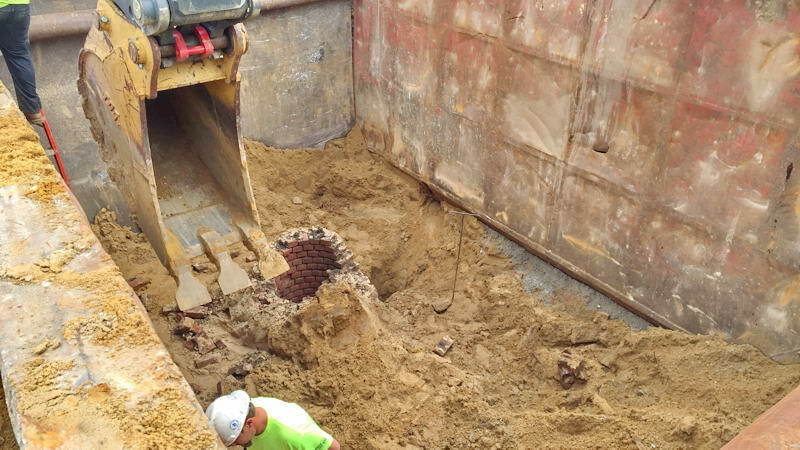 In order to safely work in the excavation, we were able to place sheeting around the hole with a rented pile driver. Once shored, we were able to safely complete our work.